Free games: Win a Steam key for Warhammer space RTS Battlefleet Gothic: Armada 2! 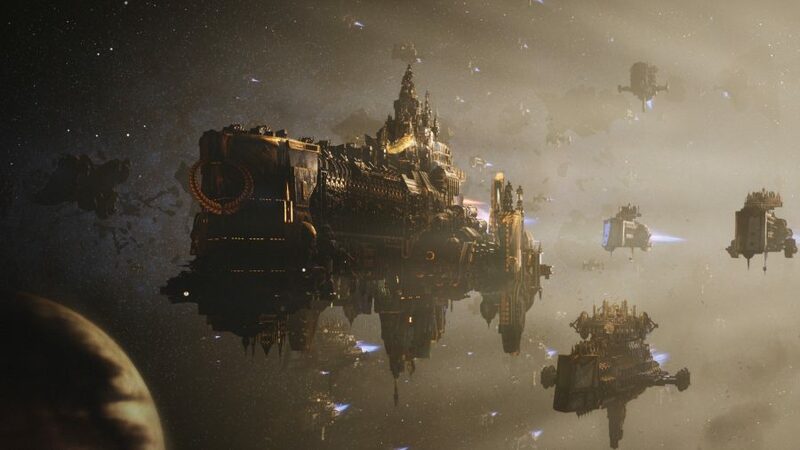 Battlefleet Gothic: Armada 2 is pure, wholesome wish fulfillment. Well: apart from the bits that concern the unwholesome corruption of Chaos fleets. What we mean is that it’s a game that takes the imagery that plays out in your head during a tabletop battle and makes it tangible, transforming static models into inexorably drifting battleships, the size and ambition of cathedrals, which board and collide with each other in a satisfyingly absurd real-time spectacle. It’s that very quality that led Matt to deem Battlefleet Gothic: Armada 2 a true 40K game, and worth the asking price for those who ever dreamed of seeing Games Workshop’s fleet battles play out for real. Only: what if you didn’t even have to pay that asking price? You can take a look at Armada 2’s launch trailer below, which trades in equal parts despair and awe. Gosh, they really do look like cathedrals. Do you know: the earliest churches tended to lie east to west? I wouldn’t recommend keeping it up for too long in Armada, mind – you’re just asking to get broadsided. To win one of the five Steam keys we have for Battlefleet Gothic: Armada 2 you need to enter the competition via the widget below. Every action you complete is worth one entry into the giveaway, with the more actions you complete increasing your chances of winning.